⬅ Where is Your Rancho del Cielo? Peripheries are not priorities. Peripheries in your life have to earn their way to page one. Until then, they are just distractions; they are clutter. They are the 2nd and 3rd ideas that get in the way of your 1st good idea. Don’t let your laser beam focus be diffused by a wide array of useless, energy-zapping activities. A life plan is to be used as a tool not adored! Be prepared to take a pen or pencil to it. Scratch it up! Your plan should be nimble so you can adapt quickly to changes-in-priority. Empower others to help assist you in achieving your quest! 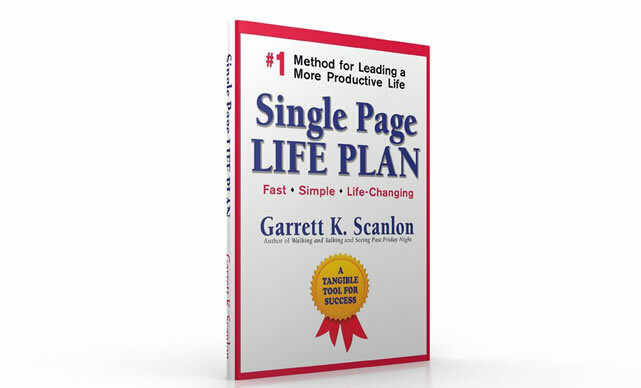 Visit www.GarrettScanlon.com and download a FREE copy of Single Page Life Plan today! 5 Reasons Why We Embrace Chaos! For Real Change in Your Life Add Coins! 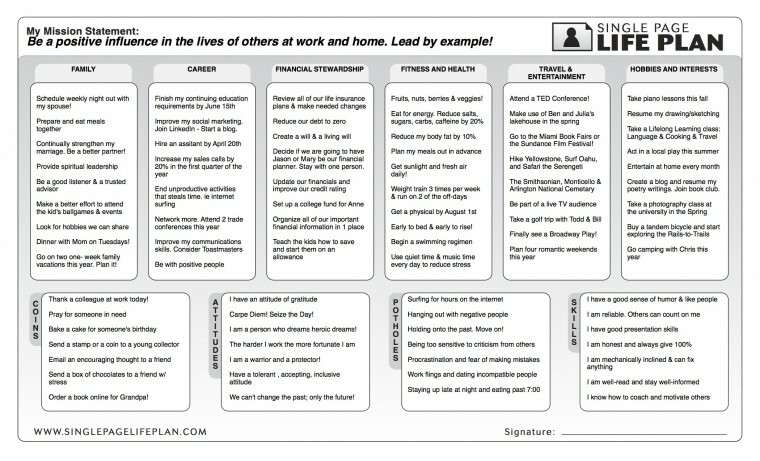 Create your own Single Page Life Plan free! And have a prosperous 2016! P.S. 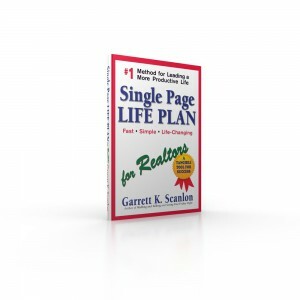 For the Realtor in your life, order a signed copy of Single Page Life Plan for Realtors from Amazon today!